White Arnold & Dowd P.C. represents plaintiffs and defendants in cases and proceedings under the federal antitrust laws and other state and federal laws promoting fair competition and fair trade practices. 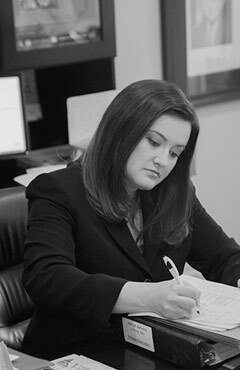 The firm’s practice includes advancing and defending claims under the Sherman Act, the Clayton Act, the Robinson-Patman Act, and the Federal Trade Commission Act. These federal laws prohibit the formation of anti-consumer cartels and other anticompetitive practices such as price discrimination that lead to monopolies, tying arrangements, and exclusive dealing agreements that restrain fair competition. White Arnold & Dowd P.C. is well equipped to handle the complexity of antitrust and fair competition cases, including the extensive e-discovery requirements often associated with cases involving issues of anticompetitive trade practices. Our team’s experience includes the development and management of document control systems, coding and analyzing millions of pages of discovery, and guiding clients through the maze of discovery issues. Our attorneys are dedicated to finding creative solutions to the complex legal problems that confront companies, entrepreneurs, and professionals in today’s rapidly-changing business environment. We carefully research the relevant legal issues and develop a comprehensive case management plan and strategy to advance and resolve antitrust and fair competition cases in the appropriate tribunal.